Ballantyne is a diverse and affluent area with a variety of cuisines available. Whether you’re looking for a casual dining experience or something more formal, there are numerous restaurants that dot the area. We’ve done the legwork for you when it comes to researching great places to visit. Check out these top-rated restaurants, according to Yelp, when choosing a place to eat in Ballantyne this week. Metro Diner: 8334 Pineville-Matthews Rd, Charlotte, NC. For more information, call (980) 215-9961. They are open from 7 AM to 8 PM Sunday through Thursday and from 7 AM to 9 PM Friday and Saturday. On Yelp, the restaurant has 283 reviews and 4.5 stars. A traditional American diner, Metro Diner offers a variety of breakfast dishes, including Belgian Waffle, Croissant French Toast, Western Omelet and Classic Eggs Benedict. Famous Toastery: 8430 Rea Rd, Charlotte, NC. For more information, call (980) 613-8343. They are open daily from 7 AM to 3 PM. On Yelp, the restaurant has 183 reviews and 4 stars. With a fun atmosphere and a variety of fresh-made breakfast options, the popular restaurant has quickly grown to offer three different locations. 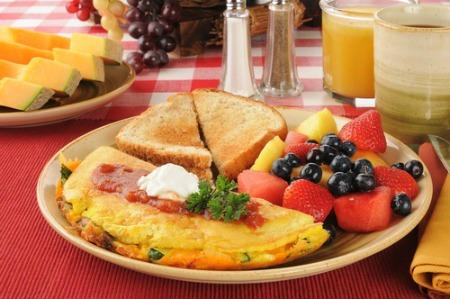 Some of their most popular dishes include Cinnamon Raisin French Toast, The Avocado Omelet, and Western Omelet. Cast Iron Waffles: 9604 Longstone Ln, Charlotte, NC. For more information, call (704) 469-1971. They are open daily from 7 AM to 4 PM. On Yelp, the restaurant has 162 reviews and 4 stars. Known for their waffles and freshly-brewed coffee, Cast Iron Waffles offers a relaxed atmosphere and a variety of breakfast options, including Cinnamon Roll Waffle, The Lumberjack, and Fresh Fruit Deluxe Waffle. Lattes, tea, blended coffee drinks and real fruit smoothies are also available. Poké Café: 11318 N Community House Rd, Charlotte, NC. For more information, call (704) 900-6019. They are open Monday through Saturday from 11 AM to 9 PM and Sunday from 12 PM to 8 PM. On Yelp, the restaurant has 39 reviews and 4.5 stars. Serving fresh seafood and vegetables on top of rice, salad, or a mix, Poké Café brings Hawaiian cuisine to North Carolina. 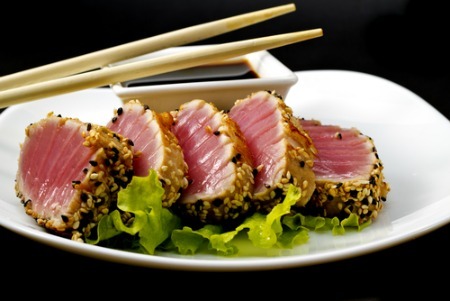 Some popular options include Spicy Ahi Tuna, Spicy Citrus Salmon and Kiss of Yellowtail. La Autentica Mexican Restaurant: 16139 Lancaster Hwy, Charlotte, NC. For more information, call (704) 910-5397. They are open Monday through Thursday from 11 AM to 10 PM, Friday and Saturday from 11 AM to 11 PM and Sunday from 11 AM to 9 PM. On Yelp, the restaurant has 42 reviews and 4 stars. Offering an impressive selection of Mexican dishes and desserts, La Autentica Mexican Restaurant is a great lunch destination. Some of their most popular dishes include Burrito Mexicano, Nachos Delight, and Enchiladas Verdes. Firebirds Wood Fired Grill: 7716 Rea Rd, Charlotte, NC. For more information, call (704) 752-7979. They are open from 11 AM to 10 PM Sunday through Thursday and 11 AM to 11 PM Friday and Saturday. On Yelp, the restaurant has 277 reviews and 4 stars. A steakhouse and wine bar, Firebirds Wood Fired Grill offers a wide variety of burgers, salads, and soups. Filet Mignon, Smokehouse Chicken, Turkey Club and Chopped Cobb Salad are just a few popular options. Carolina Ale House: 7404 Waverly Walk Ave, Charlotte, NC. For more information, call (704) 443-7964. They are open daily from 11 AM to 2 AM. On Yelp, the restaurant has 18 reviews and 3 stars. Offering fresh ingredients and a relaxed atmosphere, Carolina Ale House has a menu full of dishes with fresh flavors and unique combinations. Some of their top dishes include Pulled Pork Sliders, Classic Burger Sliders and Blackened Salmon Caesar Salad. 131 Main: 9886 Rea Rd, Charlotte, NC. For more information, call (704) 544-0131. They are open Monday through Thursday from 11 AM to 9:30 PM, Friday and Saturday from 11 AM to 10:30 PM and Sunday from 11 AM to 9 PM. On Yelp, the restaurant has 281 reviews and 4 stars. With a welcoming atmosphere and unique offerings, 131 Main focuses on classic American cuisine. Menu options include Slow-Roasted Chicken to Veggie Burger, North Carolina Rainbow Trout, and Double Cut Pork Chop. There’s a wide variety of dishes available. 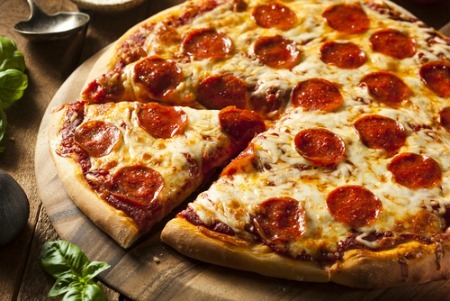 Inizio Pizza Napoletana: 10620 Providence Rd, Charlotte, NC. For more information, call (704) 846-8909. They are open Sunday through Thursday from 11 AM to 9:30 PM and Friday and Saturday from 11 AM to 10 PM. On Yelp, the restaurant has 288 reviews and 4.5 stars. Dedicated to the art and craft of true Neapolitan-style pizza, Inizio Pizza Napoletana offers a variety of specialty pizza, including Marinara and Pistacchio. Salads are also offered, including Caesar, Caprese, Italian Chopped, and Arugula.